Profit Every Time You Buy a House. Know the Real Value Before you Buy with Expert Valuation Data. Don't waste your profit another day! 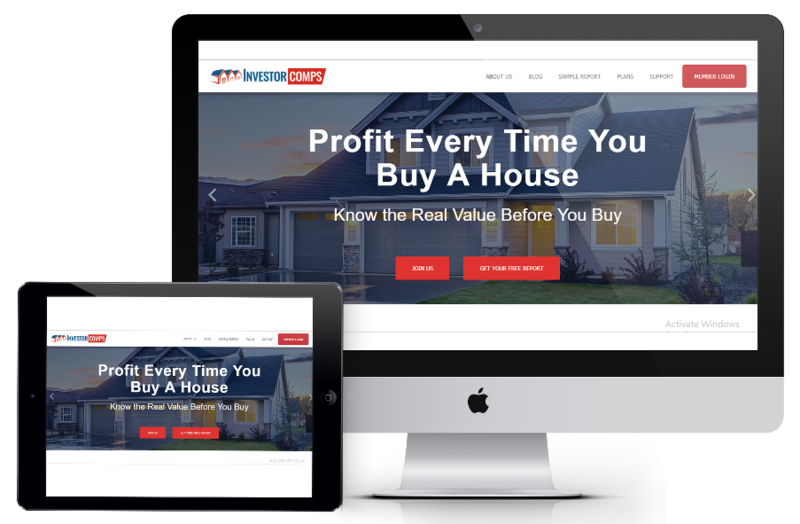 Get the expert valuation data and make MORE profit TODAY! The Investor Comps Data reports are out of this world. Unbelievable data.. without the need for a realtor, instant reports when I NEED them.